You use a password to unlock your cellphone, your work computer, your home computer, your tablet, and even your garage door. 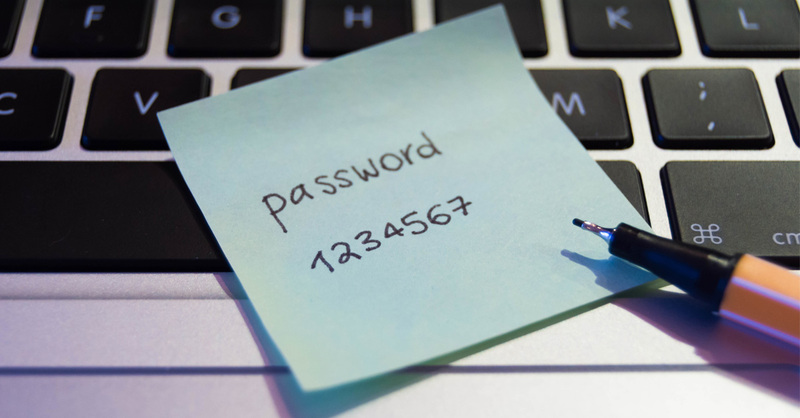 Passwords are everywhere you look but are they keeping you safe? Many of us use the same password for many different electronics or even worse, keep a basic four-digit passcode from the manufacturer. With many malware programs being designed to hack into your electronics, it’s important to have a secure password that will stump even the best hackers. Here are some steps to keeping your data secure and safe. Obvious to some, but not others, are things you want to avoid in a password. Names, like your pet Fluffy, are not secure. Family members or company names are additional non-secure passwords. Even though your birthday, telephone number, or social security number are easy to remember, they also can give hackers additional information if decoded. Stay away from those specific string of numbers. For example, never use the word ‘password’ in your personal password. 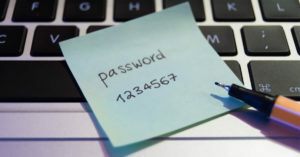 One of the most common passwords, Password1234, is easily hacked and as useful as having no password. Using a favorite quote, line from a song, or Bible verse and then using the first letter of each word, is a great way to remember a longer passcode. An example is, “A penny saved is a penny earned,” from Benjamin Franklin could be converted to the password ApsiApe*BF1790 by using the first letter of this quote. Adding the year he died creates an even stronger password. Try using a mixture of quotes so every electronic device has a different code. Hackers are notorious for being sneaky and looking at unusual ways to crack codes. Given enough time and computing cycles, hackers can work through different combinations of any password. The trick is to make it as difficult as possible so they give up. Easy words in the dictionary are tried until they find one that works. Using basic knowledge of you and your lifestyle can lead to a broken password too. That’s why it is essential to keep passwords random and unique. The most important tip to remember, is to not give anyone your password. Once you give it away, you don’t know who will find or use it. Continue to stay safe and happy pass coding!